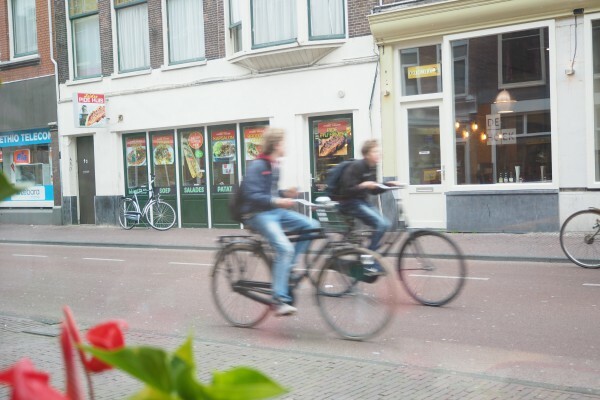 I was sitting in this Indonesian restaurant eating lunch next to the window to bike watch. By the way, the Netherlands are known for their excellent Indonesian food, how England is known for their Indian food. 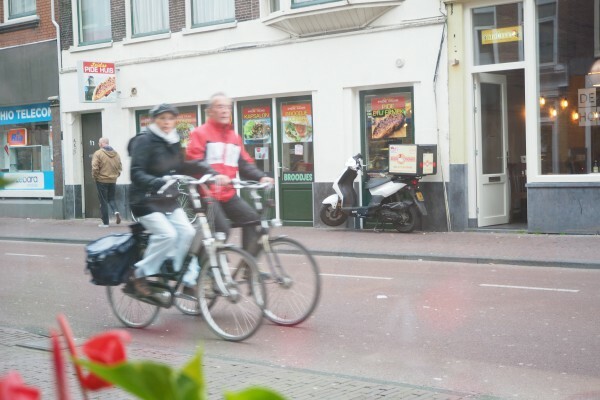 And I was happy to see so many bicyclists there pedaling in pairs and chatting away. When you are cycling, it’s refreshing and fun! To me, it stimulates your mind and breaks down your social barrier. So naturally, you would want to converse. You never hear people saying “let’s go for a drive”, but you always hear “let’s go for a walk”, or “let’s go for a bike ride”. Walking as much as riding a bike is pretty fun except that you can always for go for a walk because sidewalks are segregated from cars. If you apply the quality of sidewalks to bike paths, then more people would bike. But in America, you can’t do conversational cycling. It is just too dangerous to take your eyes off the road. The bike lanes are usually narrow for just enough for single file cycling, and majority of the bike lanes put the cyclists next to the door zone. It’s this way because we only get bike space only where cars have plenty of space already. An examples is those silly bike sharrows when there’s no space for bike lanes. Not to mention, all those cracked pavements and broken bottle glasses on the bike lanes that you can easily get tire punctures or getting your tires caught in those nasty potholes. 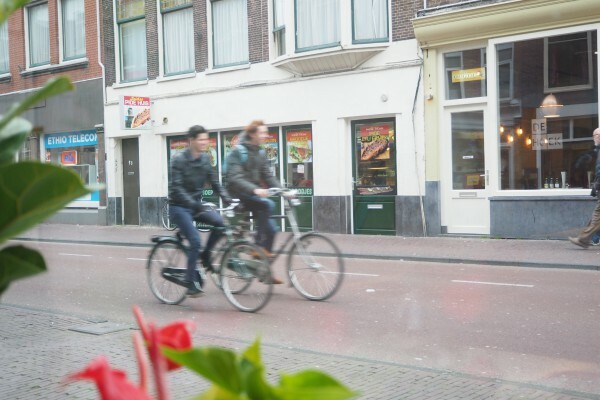 Because the infrastructure here in the Netherlands puts bicyclists first, it naturally allows for conversational cycling. Their are so many car-free zones here that you think “where are all the cars?” These car-free zones are conducive for it. 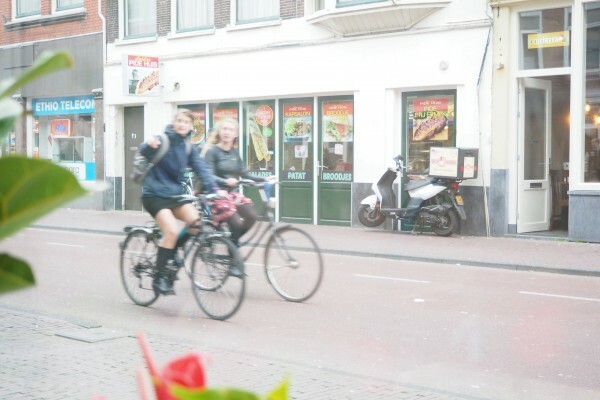 And their bike paths are usually wide enough for pairs riding together. Even more impressive is when you are out of the city center biking, the cycle track is wide enough for 3 riding abreast. So next time you are at a meeting for implementing bike paths, don’t settle for those skinny ones. It’s unsafe and it’s not fun!